The cargo transport and logistics industries are very different from other industries. It is best to apply some of the “C’s” in credit to review, in a more efficient manner, credit granted to their clients. It is in reference to the honor and moral qualities a client must possess to fulfill their commitment of any credit you may have granted. It is critical you perform an analysis of their past credit history to review paying patterns, as well as, their current credit history to review how they are paying today. You can expect a similar tendency and the probability of their maintaining the same conduct in future activities. – Request commercial references from other cargo transport companies. If you are a transportation company and a cargo agent would like to hire your services, request commercial references from other transportation companies with whom they have worked in the past. Obtaining commercial references from other industries will not prove to be useful for your analysis. – Obtain a credit report. – Verify any legal action taken against them. It is in reference to the experience and ability a client must possess to conduct business today. In your analysis, you must take into consideration length in business, growth in the last few years, branches, business activities and operations, number of employees, exports, imports, etc. The objective is to determine if this client will be sporadic, seasonal, or if they can be considered high risk or rather a solid prospect with growth opportunity in placing cargo transport service orders. Request they provide you with the number of weekly freights in the last three months. Also request they provide you with a weekly average they expect in the next three months. It is in reference to their present commitments and investments. This is the financial analysis to determine their paying ability. You must be aware of their cash flow, both in and out takes, general balance, inventory turnover, average terms, etc. In the cargo transport industry, this type of information is not readily available. It is important to evaluate income and request recent bank statements. External factors such as market conditions are rarely considered when granting credit. You must consider if these factors can affect your clients operations and sales. – Industry sector of your client. It is not the same being a cargo agent or a commercial agent. These are the assets your client has available to secure payment on credit you may have granted. There are other alternate options that can be used as a colateral, but in the cargo transport industry those are the most common and, however, in most of the cases they are not accepted by clients. The colateral a cargo transport company can use effectively is the Bill of Lading by modifying and updating its clauses. When making a decision, it is ideal to consider these five elements as a whole. A healthy collections portfolio starts the minute you start to analyze the possibility of extending credit to a client. 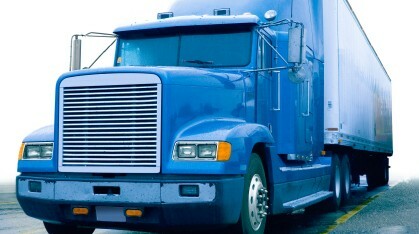 The result of this analysis must give you the elements to determine which credit line and amount can be granted to minimize risks when authorizing credit for cargo transport services. I suggest you consider these factors when defining your credit and collections policy. The cargo transport companies who have policy in place and abide by it are, without a doubt, solid and have higher probability of success. Last minute collections – Let us recover money you thought was lost! AFS International, LLC. © Copyright 2013. All Rights Reserved.